Automate your farm with this complement of BuildCraft. 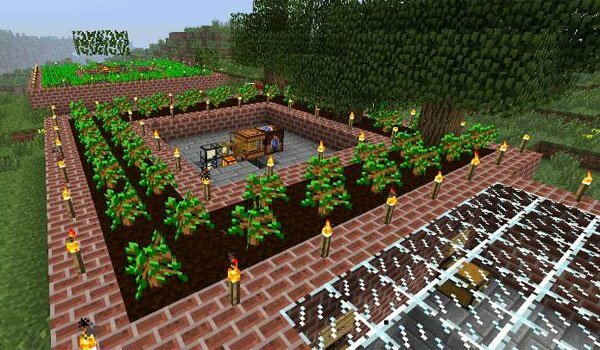 Forestry 1.6.2 and 1.6.4 is a mod that adds new equipment to the game, we could categorize into two groups. On one side are machines that allow us to automatically plant, while on the other we have machines that allow us to collect, also automatically. In the beginning this mod was created to grow and harvest trees automatically, but over time has been expanding its functions in any crop. This mod can function by itself, without needing to install BuildCraft Mod, but to maximize its functions is recommended to install both. How to install Forestry Mod for Minecraft 1.6.2 and 1.6.4? Automatic farms to BuildCraft complement! The first comment!!! Thanks Minecraftings I love this mod!